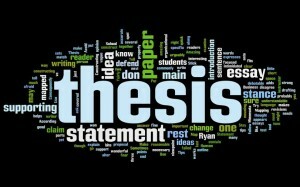 Candidates are advised to do thesis on their own as original research activity. 1. Outcome of single stage anterior and posterior surgery for tuberculous paraplegia. ilizarov external ring fixation system in infected nonunionfracture tibia. .
in elderly : A Retrospective and Prospective Observational study. 8. Analysis of Functional Outcome in Floating Knee Injury. different techniques of fixation in a bovine knee model. 11. Prospective study on the outcome analysis of internal fixation of proximal humerus fractures. , . 14. Functional Outcome of Unstable Pelvic Fractures: A Retrospective study. , . and hydroxy apatite crystals. .
16. Functional Outcome of various modalities of management of Distal Tibial Fractures. injection in chronic plantar fasciitis: A Short term follow-up study. .
19. Surgical outcome of Unstable Acetabular Fractures: A Prospective study. 20. Prospective analysis of functional outcome of clavicle fractures treated by Plate Osteosynthesis. . Fixed using Locking Compression Condylar Plates. .
Comparitive study on Functional Outcome. obstetric brachial plexus palsy. .
26. Role of Cephalomedullary Nailing in Ipsilateral Neck and Shaft Fractures of Femur. 27. Study of wear rate and its effects in cementless total hip arthroplasty. 28. Functional outcome analysis of long bone fractures and dislocation with vascular injury. Cervical Plate: A Short Term Follow Up study. 32. Review of Surgical Management of Flexion Distraction Injury of the Dorso-lumbar Spine..
33. Floating Knee Injuries: An analysis of functional outcome and factors influencing the outcome. .
implant for indian population. . Modified Woodward’s procedure in patients with Sprengel’s deformity. .
fractures: A prospective study. .
compression fractures: A prospective study. .
bones of forearm in children. . Stable Intramedullary Nailing (ESIN) in paediatric diaphyseal femoral fractures. .
treatment of intraarticular calcaneal fracture. 47. Outcome Analysis of the use of Allografts in Spine Fusion Surgery. .
48. An outcome analysis of bicolumnar fixation in distal humerus fractures in adults. .
49. Functional Outcome Analysis of Parallel-Plate technique for distal humerus fractures. .
50. A prospective study of acetabular cup positioning using anatomical landmarks. .
51. Functional outcome analysis of ilizarov ring fixator as definitive fixation of open tibial fractures. 52. Correlation of inflammatory markers of periprosthetic joint infection in revision arthroplasty. ..
with distal femur locking compression plate. .
treated with interlocking nailing and with plate osteosynthesis: A Prospective study. .
Posterior Approaches in Total Hip Arthroplasty. 56. A study on functional outcome following surgical fixation for subaxial cervical spine injuries. .
57. Metal on Metal Resurfacing Hip Arthroplasty for Hip Arthritis : A Short Term Outcome Analysis. treated with bipolar hemiarthroplasty and dynamic hip screw. 61. Functional outcome of serial cast correction of congenital talipes equinovarus by ponseti method. .
63. Modified gamma nail for the treatment of peritrochanteric fractures. 65. Comparison of Fixed-Bearing and Mobile Bearing Total Knee Arthoplasty. discectomy and single level instrumentation fusion: A Comparative study. 68. Locking compression plating for distal femoral fractures: A Short Term Outcome Analysis. 70. Functional analysis of Distal tibial fractures treated by Hybrid external fixator. with the gold standard management plate osteosynthesis: A Prospective study. with the Limb Reconstruction System. Open Reduction and Internal Fixation: A Prospective study. 78. Short Term Analysis of functional results of Uncemented Total Hip Arthroplasty. Reconstruction: A Prospective Comparative study. 80. Prospective Study of functional outcome analysis of mini external fixator in short long bones. 81. A study of outcome of anterior cruciate ligament reconstruction using hamstring graft. . Dynamic Condylar Screw and Reconstruction Nail. .
Tibial Plateau Fractures: A Prospective study. .
87.Distal Radius Fracture with Plaster Immobilization and with External Fixation. .
88. Role of locking compression plate for Distal Radius Fractures in Postmenopausal Women. the distal femur and proximal tibia. 90. Flexible intramedullary nailing in the management of simple bone cyst. treated by closed reduction through bridging external fixator augmented with K-wires and Volarlocking plating. patients with unstable sacroiliac joint disruptions. Adult Treated with Plate Osteosynthesis. 97. Functional Outcome of Uncemented Total Hip Arthroplasty: A Retrospective study. 99.Functional Outcome of Uncemented Total Hip Arthroplasty: A Retrospective study. 100. Functional outcome analysis of management of compound fractures of tibia with Ilizarov Fixator. 101.Outcome between Plate Osteosynthesis, Interlocking Nailing and Titanium Elastic Nailing. 102. A study of clinical and functional outcome in adults with extremity soft tissue sarcoma..
103. A Study on Surgical Management of Unstable Pelvic Fractures. Repair Using Double Endobutton Technique. Developmental Dysplasia of Hip in Children more than Three Years Old. 109. Evaluation of neck shaft angle and ante version in dry femorae of adult Indian population. .
fractures managed by dual plating. .
percutaneous pinning and open reduction and internal fixation with K-wires. 115. Role of ligamentotaxis in Unstable Distal Radius Fractures. Interlocking Nailing: A Short Term Analysis. metacarpal fractures treated with mini fragment plates and screws: A Prospective study. .
120. Segmental Loss of Long Bones treated by Ilizarov Ring Fixation. hand correction: A Prospective study. .
124. Radiological and Functional Outcome of Retrograde Nailed Humeral Diaphyseal Fracture. surgical management of Type B & Type C distal radius fracture with volar locking plate. .
femur locking compression plate with that of supracondylar nail. failed back surgery syndrome. .
treated with dynamic external fixator and locking compression plate. .
outcome between intramedullary nailing and plate osteosynthesis. .
locking compression plate: A short term prospective and comparative study. .
stabilisation by pedicle screw fixation. .
135. Efficacy of autologous platelet rich plasma injection in plantar fasciitis and tennis elbow. .
compression condylar plate: A Prospective study. for lumbar canal stenosis. .
139. Analysis of multilevel non-contiguous spinal fractures: A retrospective study. .
compression plates (Philos plates): A prospective study. .
142. Analysis of efficacy of Ponseti Method in management of Idiopathic Clubfoot. .
143. Functional outcome in patients with ankylosing spondylitis following hip arthroplasty. .
144. Study of functional outcome of modified tension band wiring in transverse fracture patella. .
posterior stabilisation with intermediate screws. . Treated with Proximal Humerus Internal Locking Osteosynthesis System.(PHILOS). . Compression Plates in Osteoporotic Bones: A Prospective study. .
149. Study of outcome of early Versus delayed surgery in lumbar disc prolapsed: A prospective study. .
150. Analysis of fracture union in intramedullary interlocking nailing in fracture shaft of femur. .
151. Functional Outcome of Proximal Humerus Plating in Displaced Proximal Humerus Fractures. .
152. Outcome of accelerated ponseti technique in the treatment of idiopathic clubfoot. .
treatment of unstable distal radius fractures. .
symptomatic lumbar disc prolapse. .
and internal fixation using crossed K-wires: A Short term follow up study. .
(MRSA) and Extended Spectrum Beta Lactamase producers (ESBL)..
degenerative disc disease and spondylolisthesis. .
screw and reconstruction nail. .
dynamic hip screw or proximal femoral nail: A prospective study. .
management of middle third clavicle fractures. tibial locking plate with raft screw technique and conventional buttress plating. using knee society and Rasmussen score. .
motion protocol in adults. .
Tibia: A Prospective study. .
173.Analysis of Proximal Femur Geometry in Indian Population using Computed Tomography. injection for lumbar disc disease..
elastic nail system: A Prospective study. .
176. Analysis of metabolic parameters predicting outcome in polytrauma patients. .
distal both bone fractures of leg: A Prospective study. .
modular extension of dynamic hip screw. internal fixation: A prospective study. .
181. Analysis of acetabular cup positioning and functional outcome in total hip replacement. unnavigated total knee arthroplasty. .
Arthroplasty: A Prospective Study. .
in thoracolumbar fractures A Prospective study. .
185. Outcomes of treatment for femoral head fractures with hip dislocation. .
186. A case study of periarticular fractures of the tibia managed with biological plate fixation.187. A prospective study on functional outcome of Bimalleolar Ankle Fractures. .
188. Short Term Assessment of Functional Results of Surgically Treated Tibial Plateau Fractures. .
189. Functional Outcome of Transtibial ACL Reconstruction: A Prospective study. tibia anatomical locking compression plates for distal tibia fractures: A Prospective study. .
193. A study of the role of Platelet rich plasma in the treatment of knee osteoarthritis. .
194. Proximal Femoral Nail for the treatment of Unstable Trochanteric Fracture. 195. Effect of major Orthopedic Surgery on the nutritional status of the patients. fractures treated with Locking Compression Plates. relationship to the functional outcome. .
between lateral surgical approach and posterior surgical approach in the total hip replacement. .
treated by Posterior Lumbar Interbody Fusion. .
209. Bone defects managed by autograft and allograft: Retrospective and prospective analysis. with pedicle screws and fusion for tuberculosis of dorsal and lumbar spine. .
211. Functional outcome of extrarticular distal tibia fractures treated by Intramedullary nailing. .
215. Functional outcome in patients with sciatica after giving epidural steroid injection..
218. Study of Coronal Alignment of Knee after Total Knee Replacement. .
219. An early functional outcome of arthroscopic stiff shoulder release in adhesive capsulitis. .
prospective and retrospective study. .
fixation of acetabular fixatures treated through Modified Rives-Stoppa’s approach. .
after preliminary external fixation: short term retrospective and prospective analysis. .
after Temporary Knee Spanning External Fixation. .
adduction deformity in Idiopathic Clubfoot. .
225. Proximal Femur Nailing for Unstable Sub Trochanteric and Inter Trochanteric Fractures. .
229. Analysis of functional outcome of anterolateral plating in tibial pilon fractures. .
with Gustilo Anderson compound Grade IIIB fractures. .
234. Reconstruction of Tubular Bone Defects with Non Vascularized Fibular Graft. i. 236. Issues in the Management of Fractures associated with Compartment Syndrome. .
intertrochanteric fractures of femur in the elderly patients. .
238. Review of Tapered Femoral Stem Fixation in Cemented Total Hip Replacements. .
239. Functional and Radiological outcome in low dysplastic spondylolisthesis: A case series. .
strand hamstring autograft: A Prospective study. .
Fixator: A Prospective study. .
Fractures of Distal Femur. .
244. Use of Nail Traction Splint in the management of Proximal Phalangeal Fractures of the Hand. fixation with medial anatomical locking compression plate. .
lower limbs, with and without infection during the course of treatment. .
247. Short Term Assessment of Functional Results of Bipolar Hip Arthroplasty. .
patients after a minimum period of 2 years. .
for fracture shaft of humerus in adults: A prospective comparative study..
fixation of proximal tibia fractures. . Compression Plate fixation and Dynamic Condylar Screw fixation. .
254. Thrombophilia in Perthes' Disease. .
Unstable Comminuted Fracture of Distal Radius. .
256. Review of a New Technique for Correction of Cubitus Varus Deformity. .
functional outcome in Orthopaedic Surgery. .
259. A study on functional outcome of adult Type C distal humeral fractures with bicolumnar fixation. .
260. Functional Outcome Analysis of bicolumn plating in bicondylar tibial plateau fractures..
in the Management of Tibial Shaft Fractures. < CLICK HERE FOR THESIS DISSERTATION GUIDANCE YOU NEED NOW.